Update: our new house purchase is going along slowly but surely. Please continue to pray for all the mortgage process and God's perfect timing! We're looking forward to a weekend of Easter celebrations including seeing my son leading praise and worship songs in their town centre on Good Friday. And then my sister and I are organising an Easter Egg Hunt at my parents on Easter Monday for the little ones in the family although I'm fairly certaing some of the bigger ones will be joining in too. Hope everyone has a blessed Easter! Sounds wonderful. I hope you have a fantastic time. I hope you have a lovely Easter too and that the easter egg hunt goes well. We had one a few years ago and a squirrel came down and stole one of the eggs! Sounds like you have a wonderful planned! 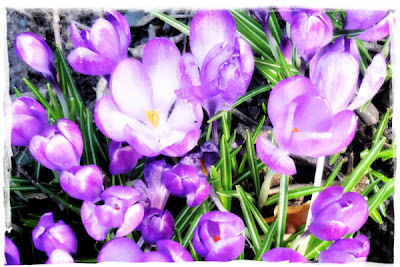 Your photo is lovely, thanks for the comment on my blog, I hope you all have a Happy Easter too!